Metro seeks developers for five sites in Maryland and D.C. 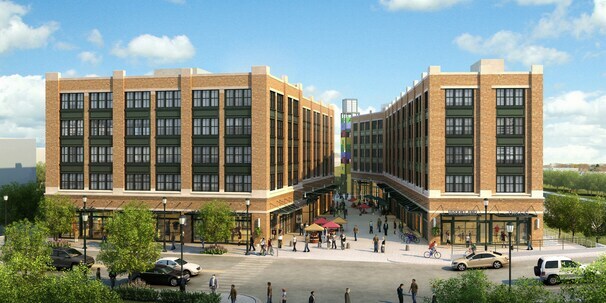 The Bozzuto Group – A rendering of the Monroe Street Market development in Brookland. Metro owns property it would like to develop nearby. Developers have been calling the Washington Metropolitan Area Transit Authority to inquire about the transit agency’s properties — many of them surface parking lots in developing neighborhoods — and the agency has responded. In an effort to take advantage of some of the boom in development near public transit, Metro launched a search Monday for companies interested in building on properties the transit agency owns at five of its stations: Brookland, Navy Yard, Fort Totten, Grosvenor-Strathmore and Morgan Boulevard. Many of the properties, outlined in a 135-page document the agency posted online Monday, are in neighborhoods where private sector development is already underway or expected shortly, potentially boosting the value of Metro’s parking lots or land. Three of the stations are in D.C., one is in Montgomery County and another is in Prince George’s County. The largest of the properties, 37 acres at the Morgan Boulevard station in Landover, is one stop from where Maryland and Prince George’s County officials are planning a $645 million regional hospital campus. In Brookland, Metro is seeking partners for property across from where developers Jim Abdo and Bozzuto Group are developing a $200 million mixed-use project, calledMonroe Street Market, with Catholic University. Another site, an air conditioning facility near the Navy Yard Metro station, is near Nationals Park and across the street from a vacant warehouse that the federal government said it plans to sell and where some residents are pushing for a food market to open. With the area’s boom in apartment construction, developers have increasingly been calling Metro to ask about buying or leasing the agency’s properties, according to Stanley Wall, Metro director of real estate and station planning. The Morgan Boulevard property, he said, received an unsolicited development proposal and Wall said he wanted to take advantage of the interest. “Given that there is so much momentum at this time, we’re trying to take advantage of that,” he said. Building on top of a Metro station isn’t always easy because it often requires a developer to replace whatever parking or access facilities are there presently, either by building them underground or in a garage. Disagreements between the agency and developer have thwarted some past public-private development plans. A previous effort at the Navy Yard, for instance, was cancelled. Others, like a development agreement at the Takoma station, have been delayed for years. To head off problems, Wall said the agency has pre-planned multiple scenarios for Metro’s facilities at each of the stations, giving developers a road map that satisfies Metro’s needs for each property. “We’ve actually created a couple of development scenarios for each site, so that way you can solve for transit before figuring out what the developers might need,” he said. Any agreement between a developer and the agency for the five properties would require approval from Metro’s board of directors. Brookland’s pivotal Monroe Street Market Development is getting close to delivery, and UrbanTurf got a sneak peek this week. Check out their tour below. A studio at Brookland Works. 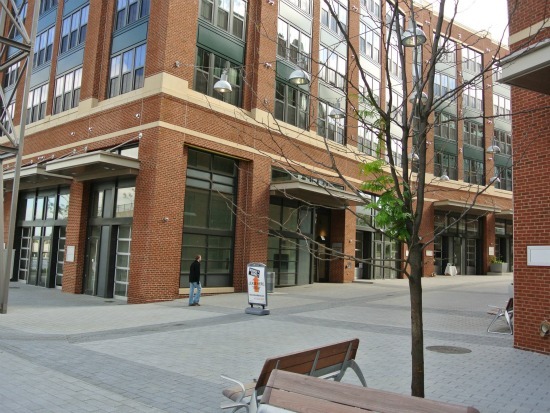 On Monday, UrbanTurf took a look inside Monroe Street Market, whose first apartment building, Brookland Works, is currently welcoming move-ins. Brookland Works, located at 716 Monroe Street NE (map), has a total of 152 apartments, with 26 set aside as artist studios. 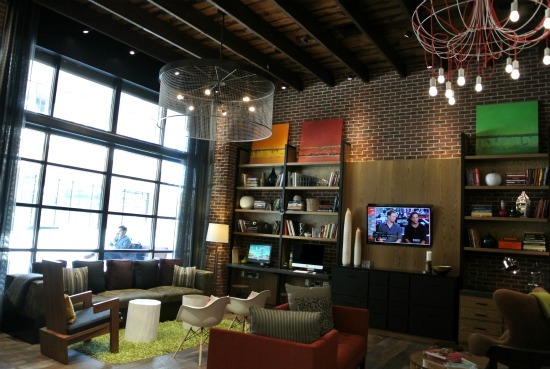 Amenities include a gym, conference area, urban mountain lodge-style lobby, and art room. 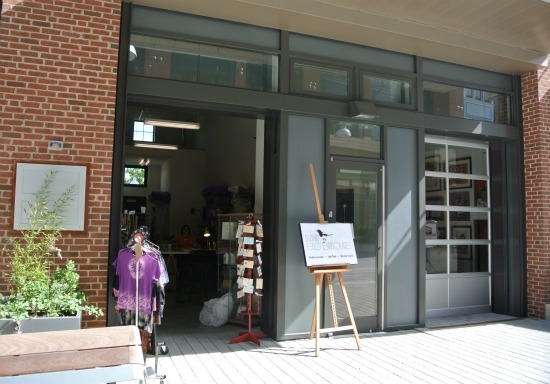 In addition to the apartment buildings, Monroe Street Market has opened up their retail destination. The Art Walk is a pedestrian walkway lined with small shops intended to be filled with artisans and small boutiques; 20 of the 27 spaces have been leased, and workers seemed busy painting, scrubbing windows and moving in goods on Monday. The strip has an organic, artsy feel. Barnes and Noble, Potbelly, &Pizza, and a restaurant from the owners of Meridian Pint will also be moving in. 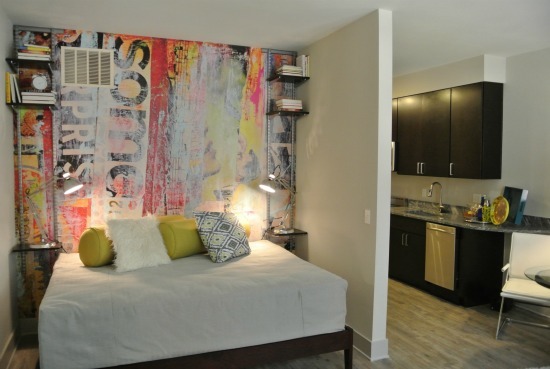 To kick off the placemaking development, developers Bozzuto will be hosting a festival, “Art in the Mix,” on October 26th in collaboration with Cultural DC. Street-style photographer Scott Schuman, aka The Sartorialist, will be attending to talk about his newest book and hold a book signing, and attendees can sample food trucks, art stands, music performances and a beer garden. The Cornerstone and Portland Flats will both be opening up in the next three months, bringing the total number of apartments delivered at the project to 562. Check out the photos below. The lobby at Brookland Works. A boutique on the Art Walk. A bedroom nook in a studio. The DC real estate market has been nothing short of hot this year, but some neighborhoods have definitely seen more action than others. If the idea of engaging in a bidding war on the Hill or in Logan Circle doesn’t appeal, here’s a great article from the Post on alternative neighborhoods that may also appeal to you. 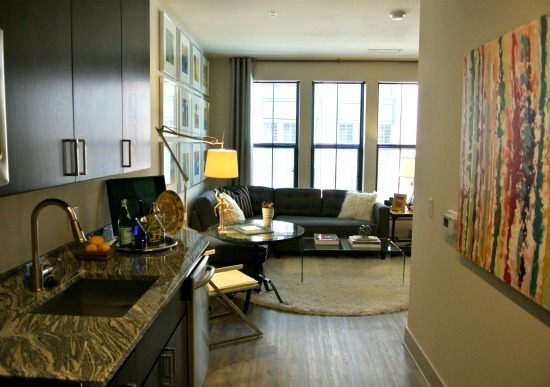 Can’t afford to buy a home in Old Town? 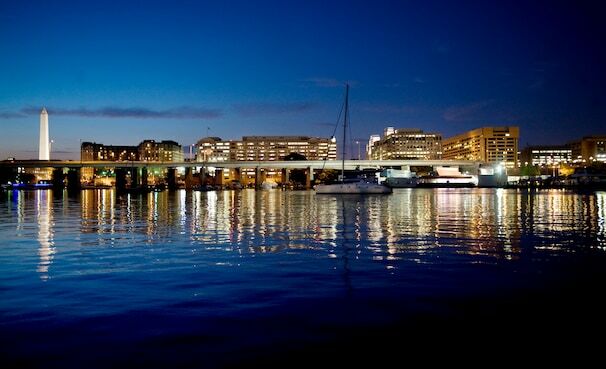 Try Shirlington or other alternative neighborhoods. Rising home prices, low inventory and higher interest rates are pushing many buyers’ dream homes further and further out of reach, real estate agents say, particularly in metropolitan Washington’s more popular neighborhoods. But while purchasing on Capitol Hill or in Cleveland Park, Bethesda or Del Ray may be less and less likely for some, finding an equally grand home in an alternative neighborhood may be within reason. By opening their minds and expanding their search just a bit (and perhaps making a trade-off or two), buyers may be able to find the right house at the right price. Bozzuto, one of the developers behind Brookland’s major Monroe Street Market development, has announced that Barnes & Noble has signed on to be the anchor tenant for the complex. 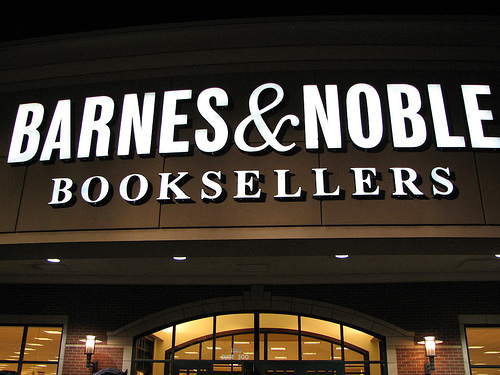 B&N is the second retailer to sign on to the project – local pizza shop &Pizza being the first. The split-level, 14,000 sf shop will also serve as the official bookstore for nearby Catholic University. Now the real question is, can they convince Whole Foods to sign on?